Saturday 22 April at 2pm. to sign his new book. This must read novel is about adventures and intrigue on Lake Ontario. The story begins on a dark and stormy November night as the heroine is barrelling through Picton with no time to spare on the way to Long Point for a search and rescue operation. As the story develops the crew discover that there is a submarine about and for those who remember the Bras d'Or HMCS 400, they will be delighted with Bras d'Or II playing a major role in this story. You will enjoy chatting with the author, who is also a Thousand Islands riverboat captain. 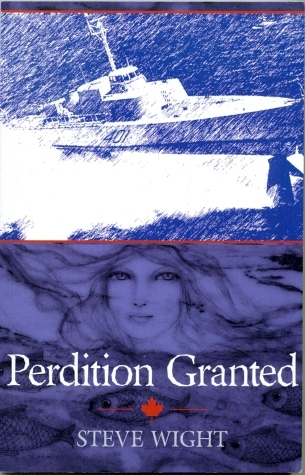 Perdition granted by Steve Wight. ISBN 9781773020426. 1st tpb ed. Victoria, BC: Tellwell (Loon Point Boatworks), 2016. 174 p. 23 cm. Full details in our catalogue and on the author's page.